All My Movies, All My Books, All My Software, Image Comparer, Audio Comparer, Hide Photos, Bolide Movie Creator or Bolide Slideshow Creator sometimes referred to as (the "Software") and accompanying documentation that are made available by download from this Site or on CD-ROM format are the copyrighted work of Bolide® Software. Use of the Software is governed by the terms of the end user license agreement that accompanies or is included with such Software and is also referenced on this website. You will not be able to download or install any software that is accompanied by or includes an end user license agreement unless you agree to the terms of such end user license agreement. If you do not agree to such terms, you will not be able to use the Software. You may not decompile, reverse engineer or otherwise attempt to discover the source code of the Software available on the Site. Except as expressly provided otherwise in a written agreement between you and Bolide® Software, the materials in or purchased through this site are provided "as is" and without warranties of any kind either express or implied. To the fullest extent permissible pursuant to applicable law, Bolide® Software disclaims all warranties, express or implied, including, but not limited to, implied warranties of merchantability or fitness for a particular purpose, or the warranty of non-infringement. Without limiting the foregoing, Bolide® Software does not warrant that the functions contained in the service will be uninterrupted or error-free, that defects will be corrected, or that this service or the server that makes it available are free of viruses or other harmful components. Bolide® Software does not warrant or make any representations regarding the use or the results of the use of the materials in this service in terms of their correctness, accuracy, reliability, or otherwise. You (and not Bolide® Software) assume the entire cost of all necessary servicing, repair, or correction. Applicable law may not allow the exclusion of implied warranties, so the above exclusion may not apply to you. Without limitation of the foregoing, you acknowledge that as a service to users of the Bolide® Software service, we include links to other web sites on the world wide web portion of the internet and that Bolide® Software has no control over, and makes no representations of any kind whatsoever, regarding the content or appropriateness of content on such web sites and you hereby irrevocably waive any claim against us with respect to such web sites. Bolide® Software may provide links to other sites that we feel are relevant and interesting to our users ("Link Sites"). Bolide® Software is not responsible for the content on the Link Sites and is not responsible for the accuracy of the information and intellectual property notices therein. Some of these Link Sites may provide you with opportunities to purchase products ("Products"). We do not endorse any of the Products nor do we make any representations or warranties in connection with the Product. Please exercise respect when participating in any of Bolide® Software's community features such as Forums, Blogs, Email functions, etc. You may not submit or publish through Bolide® Software any User Materials that are libelous, defamatory, pornographic, an invasion of privacy, obscene, abusive, illegal, racist, offensive, harmful to a minor or an infringement on any intellectual property rights of a third party or would otherwise violate the rights of any third party. Furthermore, you may not submit or publish User Materials through Bolide® Software that solicit funds or services, contain advertising or include programs that contain viruses or any other programs designed to impair the functionality of any computer. Bolide® Software does not warrant that the functions contained in the service provided by the Site will be uninterrupted or error-free, that defects will be corrected or that this service or the server that makes it available will be free of viruses or other harmful components. You shall notify Bolide® Software of any known or suspected unauthorized use(s) of your Member's Area Account, or any known or suspected breach of security, including loss, theft, or unauthorized disclosure of your login information. You shall be responsible for maintaining the confidentiality of your login information. Any fraudulent, abusive, or otherwise illegal activity may be grounds for termination of your Member's Area Account, at Bolide® Software's sole discretion, and you may be reported to appropriate law-enforcement agencies. Bolide® Software will investigate notices of copyright infringement and take appropriate actions. If you believe that your work has been used or copied in a way that constitutes copyright infringement and such infringement is occurring on this Site or on sites linked to from this Site, please notify Bolide® Software. This Site is controlled and operated by Bolide® Software. Bolide® Software makes no representation that materials in the Site are appropriate or available for use in your location. Those who choose to access this Site from any location do so on their own initiative and are responsible for compliance with local laws, if and to the extent local laws are applicable. By accessing this Site, you and Bolide® Software agree that all matters relating to your access to, or use of, this Site shall be governed by and construed in accordance with the laws of the country where Bolide® Software resides, without giving effect to any principles of conflicts of law. All My Movies, All My Books, Bolide, the Bolide® Software logo and other marks indicated on our site are trademarks of Bolide® Software or other related companies. 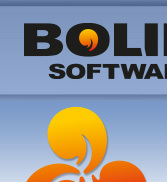 Bolide® Software's trademarks and trade dress may not be used in connection with any product or service that is not Bolide® Software's, in any manner that is likely to cause confusion among customers, or in any manner that disparages or discredits Bolide® Software. All other trademarks not owned by Bolide® Software or any of its related companies that appear on this site are the property of their respective owners, who may or may not be affiliated with, connected to, or sponsored by Bolide® Software. All content and compilation of content included on Bolide® Software's website, such as text, graphics, logos, button icons, images, audio clips, digital downloads and software, is the property of Bolide® Software and is protected by United States and international copyright laws. "We are looking for the best"